I'm a bit of a tahini fiend, I don't really know what I did before I started buying the stuff I'm that obsessed with it. 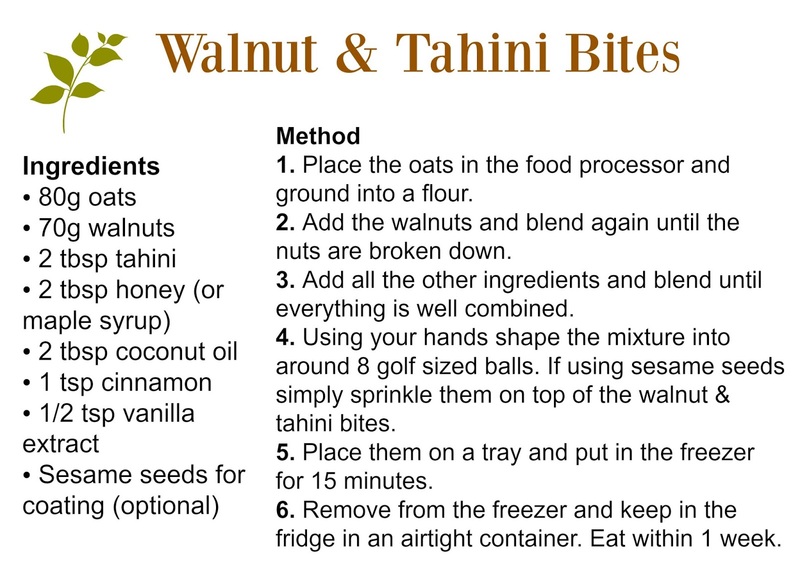 It's amazing salad dressings, perfect in stir-fry, wonderful with roasted veggies and it's even delicious in smoothies but I'd never really experimented with using it in sweet treats until I had the idea to make raw energy balls using tahini instead of nut butter like I usually use. 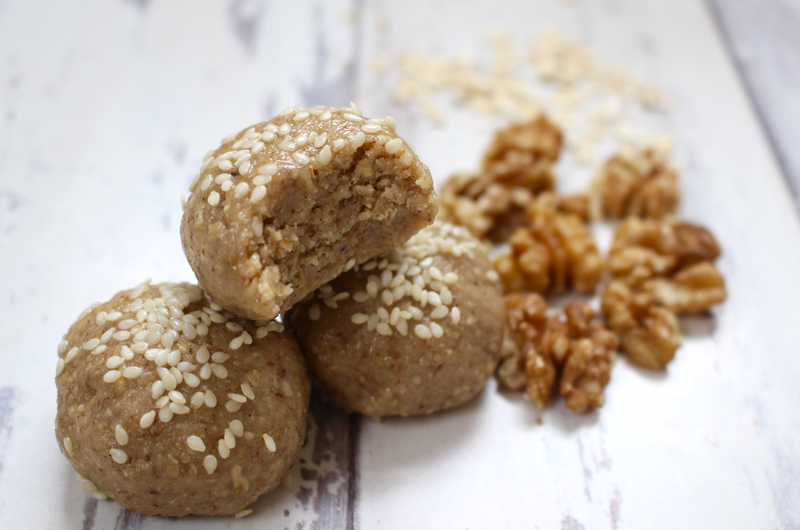 The idea was one I'm extremely glad I had because these Walnut & Tahini bites are not only the quickest, easiest treats ever but they taste heavenly! For those of you who don't know Tahini is sesame seed paste, think peanut butter but this one's made out of sesame seeds. It's definitely more savoury that nut butters, creamier and just as delicious! It's one of the main ingredients in hummus and it's commonly used in North African and Middle Eastern dishes, so you can perhaps see why I'd never thought of making sweet treats with it! However, when combined with sweetness of honey, the spice of the cinnamon and amazing oats & walnuts it's completely magical. These little bites are insanely creamy, perfectly sweet, unbelievably moreish and packed full of goodness too! Tahini is a common-day superfood in my opinion as it's just loaded with nutrients including healthy fats which are good for the heart, your hair, your skin and your happiness levels and high levels of magnesium, iron and calcium for strong bones, clearer skin, stronger hair, lower blood pressure and studies have shown tahini can even prevent certain cancers! 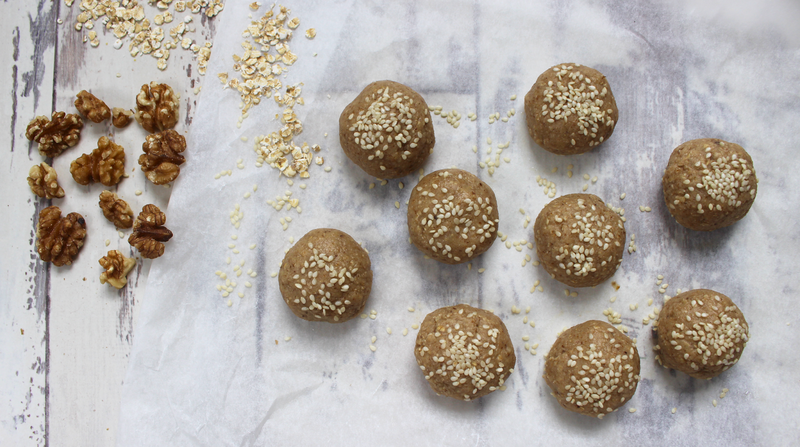 If you fancy a change from the average energy ball full of dates, almond butter and cacao you need to try these! They're just as good (if not better) and are cheaper and easier to make....what a winner!